Rompshire County Council met in Dampford Town Hall on Friday to propose lifting the ban on golf. Chief Inspector Roger Fumble of the Rompshire Constabulary believes responsible golfing among consenting adults should be legal throughout the County of Rompshire. Recent polls have shown that attitudes are changing and opposition to golf is declining. “We have enough work to do without arresting clandestine golfers,” said the Chief Inspector. Arthur Bing-Chumply [believed to have ties to Dampford Repair-A-Window] and a spokesman for the International Institute of Not Doing Much, said that golf is a disgusting habit and leads to megalomania. Ms. Phillips presented neurological data on how long-term golfing shrinks the brain. 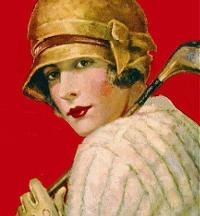 She said, “Speed Golf is a horrible concept and alien to our slow culture. Infected golfers no longer walk. They insist on speeding around in golf carts. Golf may look like a slow activity, but it causes people to go faster. Chief Inspector Roger Fumble said that he would personally monitor local golf to make sure people were playing slowly and responsibly. Matilda Abundant agreed with the police. Moreover, a new golf course would bring in revenue to the County. Membership and green fees would be used for counseling services, regular mental health checkups, rehabilitation for golf addicts, and a much-needed upgrade to the public bathtubs at Little Twittington. Rompshire County Council will vote on the issue next Wednesday.